As the name implies, Free Comic Book Day is a single day when participating comic book specialty shops across North America (like The Comic Store in Lancaster) and around the world give away comic books absolutely free to anyone who comes into their shops. Free Comic Book Day 2019 marks our 18 year anniversary and we can't wait to celebrate! As always, each customer receives one free comic book. For each additional copy we request that a donation of 50 cents be collected at the register. All of the donated money will be used to buy graphic novels and books for the Lancaster County libraries. Four years ago, The Comic Store won the National Award of Best Charity from Diamond Comic Distributors for its efforts in sponsoring this fund-raiser. The Vader's Fifth 501 Legion Garrison Carida are joining us again this year with even more Star Wars characters! We expect a whole plethora of cosplay characters to be visiting our store and parking lot, including Batman, Batgirl, and many others. Make plans now to visit our store May 4th!! The Vader's Fifth 501 Legion Garrison Carida was such a huge hit last year that they are returning this year with even more Star Wars characters! 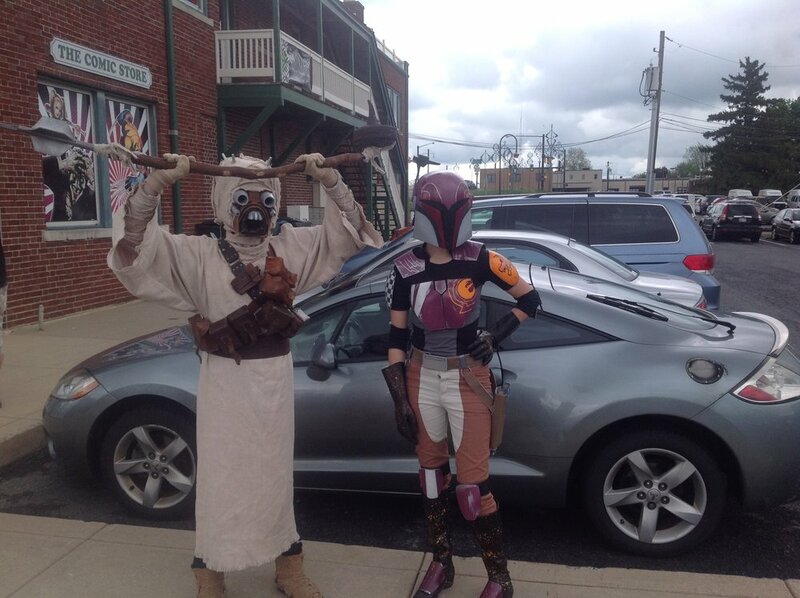 And we expect a whole plethora of cosplay characters to be visiting our store and parking lot.